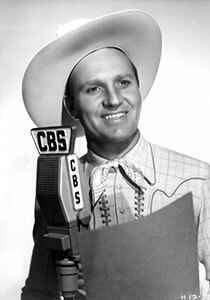 Gene Autry was a popular and prolific entertaining in the 1930s, 40s, and 50s. 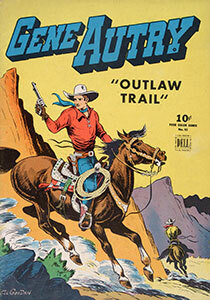 He was also a brilliant businessman and owned much of the work he did in music, movies, and television. 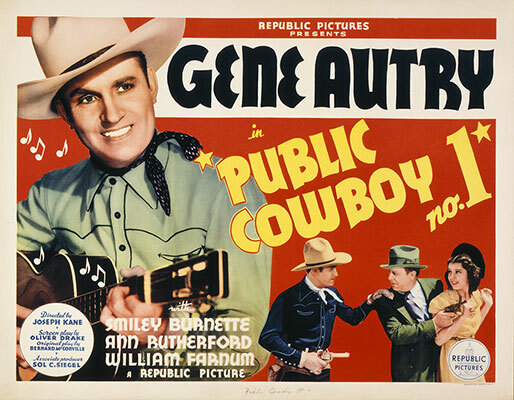 If you would like to license any Gene Autry owned intellectual property such as a song, performance, clip, or image controlled by the estate of Gene Autry, please see the categories below. 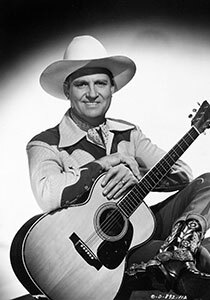 Gene Autry’s Western Music Publishing Co.
Melody Ranch Music Co., Inc. 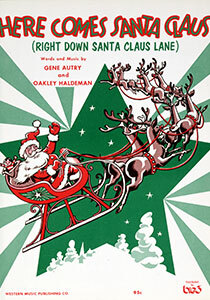 Some of the iconic songs in these publishing catalogues include "Back in the Saddle Again," "Here Comes Santa Claus (Right Down Santa Claus Lane)," "Just Walking in the Rain," "It's My Lazy Day," "You Belong to Me," "I Will," "Nestor, the Long Eared Christmas Donkey" and "That Silver Haired Daddy of Mine." 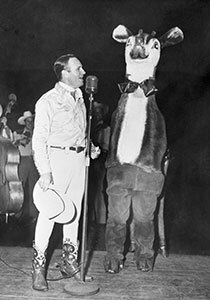 A Mechanical License is needed if you wish to record or use a song (music usually accompanied by words) for audio only use whether for embodiment on a physical product (CD/Vinyl) or for digital delivery via the Internet by way of download or streaming. The good folks at Bluewater Music Services Corp. handle our mechanical licenses. A Synchronization Licenses (aka Sync License) is needed if you wish to use a song set to any moving image across multiple mediums including but not limited to motion pictures, television programs, television commercials, video games, and internet videos. Sync Licenses have a negotiated fee based on the type and duration of use, the rights requested, and the term and territory for the license. The good folks at Hal Leonard handle our print licenses. Visit their website www.halleonard.com/permissions and click on the type of license/permission you are requesting such as photocopy sheet music, reprint lyrics, publish a custom arrangement, etc. 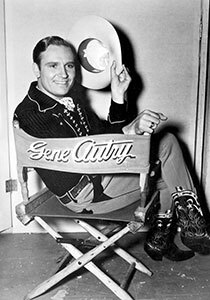 Gene Autry Entertainment provides licensed access to our library of Gene’s movies, television episodes, and radio shows including film clips and audio only master recordings. A license is required to use any of these materials in a media project such as a film, TV show, commercial, social media, or other visual or audio only project. 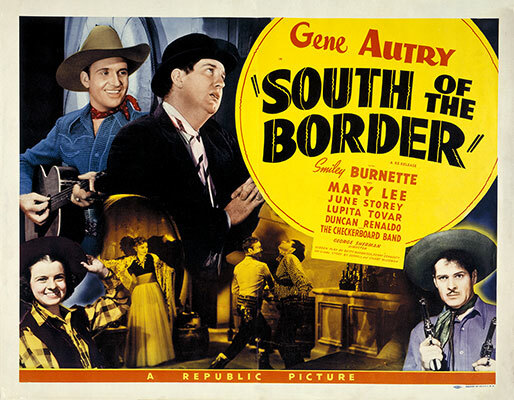 A licenses is also needed for screenings of Gene Autry movies or television shows to groups or organizations. 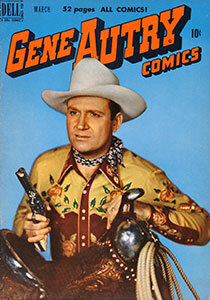 Use of a photographic or other type of still image depicting Gene Autry must be licensed based on the right of publicity / personality rights which allow Gene Autry Entertainment to control the commercial use and protection of the likeness and the name of Gene Autry. This will ensure that proper credit will be accorded for the use of the photograph or still image.